Chapter 47 - Probate and Registration. § 47-1. Officials of State authorized to take probate. § 47-2. Officials of the United States, foreign countries, and sister states. § 47-2.1. Validation of instruments proved before officers of certain ranks. § 47-2.2.  Notary public of sister state; lack of seal or stamp or expiration date of commission. § 47-3: Repealed by Session Laws 1987, c. 620, s. 3. § 47-4. Repealed by Session Laws 1971, c. 1185, s. 10. § 47-5. When seal of officer necessary to probate. § 47-6. Officials may act although land or maker's residence elsewhere. § 47-7: Repealed by Session Laws 1987, c. 620, s. 3. § 47-8: Repealed by Session Laws 1991, c. 543, s. 1. § 47-8.1. Certain documents verified by attorneys validated. § 47-9. Probates before stockholders in building and loan associations. § 47-10. Probate before stockholders or directors in banking corporations. § 47-11. Subpoenas to maker and subscribing witnesses. § 47-12. Proof of attested instrument by subscribing witness. § 47-12.1. Proof of attested instrument by proof of handwriting. § 47-12.2. Subscribing witness incompetent when grantee or beneficiary. § 47-13. Proof of unattested writing. § 47-13.1. Certificate of officer taking proof of instrument. § 47-14. Register of deeds to verify the presence of proof or acknowledgement and register instruments and electronic documents; order by judge; instruments to which register of deeds is a party. § 47-14.1. Repeal of laws requiring private examination of married women. § 47-15. Repealed by Session Laws 1985, c. 589, s. 26, effective January 1, 1986. § 47-16. Probate of corporate deeds, where corporation has ceased to exist. Article 1A - Uniform Real Property Electronic Recording Act. § 47-16.3. Validity of electronic documents. § 47-16.4. Recording of documents. § 47-16.5. Administration and standards. § 47-16.6. Uniformity of application and construction. § 47-16.7. Relation to Electronic Signatures in Global and National Commerce Act. § 47-17. Probate and registration sufficient without livery of seizin, etc. § 47-17.1. Documents registered or ordered to be registered in certain counties to designate draftsman; exceptions. § 47-17.2. Assignments of mortgages, deeds of trust, or other agreements pledging real property as security. § 47-18. Conveyances, contracts to convey, options and leases of land. § 47-18.1. Registration of certificate of corporate merger, consolidation, or conversion. § 47-18.2. Registration of Inheritance and Estate Tax Waiver. § 47-18.3. Execution of corporate instruments; authority and proof. § 47-19. Unregistered deeds prior to January, 1920, registered on affidavit. § 47-20. Deeds of trust, mortgages, conditional sales contracts, assignments of leases and rents; effect of registration. § 47-20.1. Place of registration; real property. § 47-20.2. Place of registration; personal property. § 47-20.3. Place of registration; instruments covering both personal property and real property. § 47-20.4. Place of registration; chattel real. § 47-20.5. Real property; effectiveness of after-acquired property clause. § 47-20.6. Affidavit for permanent attachment of titled manufactured home to real property. § 47-20.7. Declaration of intent to affix manufactured home; transfer of real property with manufactured home attached. § 47-21. Blank or master forms of mortgages, etc. ; embodiment by reference in instruments later filed. § 47-22. Counties may provide for photographic or photostatic registration. § 47-23. Repealed by Session Laws 1953, c. 1190, s. 3. § 47-24. Conditional sales or leases of railroad property. § 47-26. Deeds of gift. § 47-27. Deeds of easements. § 47-28. Powers of attorney. § 47-29. Recording of bankruptcy records. § 47-29.1. Recordation of environmental notices. § 47-30. Plats and subdivisions; mapping requirements. § 47-30.1. Plats and subdivisions; alternative requirements. § 47-31. Certified copies may be registered; used as evidence. § 47-32. Photographic copies of plats, etc. § 47-32.1. Photostatic copies of plats, etc. ; alternative provisions. § 47-32.2. Violation of § 47-30 or § 47-32 a misdemeanor. § 47-33. Certified copies of deeds made by alien property custodian may be registered. § 47-34. Certified copies of deeds made by alien property custodian admissible in evidence. § 47-35. Register to fill in deeds on blank forms with lines. § 47-36. Errors in registration corrected on petition to clerk. § 47-36.1. Notice of errors in recorded instruments of title. § 47-36.2. Cure of obvious description errors in recorded instruments. Article 3 - Forms of Acknowledgment, Probate and Order of Registration. § 47-37: Repealed by Session Laws 2005-123, s. 3, effective October 1, 2005. § 47-37.1. Other forms of proof. § 47-39. Repealed by Session Laws 1977, c. 375, s. 16, effective January 1, 1978. § 47-40. Husband's acknowledgment and wife's acknowledgment before the same officer. § 47-41: Repealed by Session Laws 1991, c. 647, s. 3. § 47-41.02. Other forms of probate for corporate conveyances. § 47-42. Attestation of bank conveyances by secretary or cashier. § 47-43. Form of certificate of acknowledgment of instrument executed by attorney-in-fact. § 47-43.1. Execution and acknowledgment of instruments by attorneys or attorneys-in-fact. § 47-43.2. Officer's certificate upon proof of instrument by subscribing witness. § 47-43.3. Officer's certificate upon proof of instrument by proof of signature of maker. § 47-43.4. Officer's certificate upon proof of instrument by proof of signature of subscribing witness. § 47-44. Clerk's certificate upon probate by justice of peace or magistrate. § 47-45. Clerk's certificate upon probate by nonresident official without seal. § 47-46: Repealed by Session Laws 2005-123, s. 4, effective October 1, 2005. § 47-46.1. Notice of satisfaction of deed of trust, mortgage, or other instrument. § 47-46.2. Certificate of satisfaction of deed of trust, mortgage, or other instrument. § 47-46.3. Affidavit of lost note. Article 4 - Curative Statutes; Acknowledgments; Probates; Registration. § 47-47. Defective order of registration; "same" for "this instrument". § 47-48. Clerks' and registers of deeds' certificate failing to pass on all prior certificates. § 47-49. Defective certification or adjudication of clerk, etc., admitting to registration. § 47-50. Order of registration omitted. § 47-50.1. Register's certificate omitted. § 47-51. Official deeds omitting seals. § 47-52. Defective acknowledgment on old deeds validated. § 47-53. Probates omitting official seals, etc. § 47-53.1. Acknowledgment omitting seal of clerk or notary public. § 47-54. Registration by register's deputies or clerks. § 47-54.1. Registration by register's assistants or deputies. § 47-55. Before officer in wrong capacity or out of jurisdiction. § 47-56. Before justices of peace, where clerk's certificate or order of registration defective. § 47-57. Probates on proof of handwriting of maker refusing to acknowledge. § 47-58. Before judges of Supreme Court or superior courts or clerks before 1889. § 47-59. Before clerks of inferior courts. § 47-60. Order of registration by judge, where clerk party. § 47-61. Order of registration by interested clerk. § 47-62. Probates before interested notaries. § 47-63. Probates before officer of interested corporation. § 47-64. Probates before officers, stockholders or directors of corporations. § 47-65. Clerk's deeds, where clerk appointed himself to sell. § 47-66. Certificate of wife's "previous" examination. § 47-67. Probates of husband and wife in wrong order. § 47-68. Probates of husband and wife before different officers. § 47-69. Wife free trader; no examination or husband's assent. § 47-70. By president and attested by treasurer under corporate seal. § 47-71. By president and attested by witness before January, 1900. § 47-71.1. Corporate seal omitted prior to January 1, 2000. § 47-72. Corporate name not affixed, but signed otherwise prior to April 1, 2013. § 47-73. Probated and registered on oath of subscribing witness. § 47-74. Certificate alleging examination of grantor instead of witness. § 47-75. Proof of corporate articles before officer authorized to probate. § 47-76. Before officials of wrong state. § 47-77. Before notaries and clerks in other states. § 47-78. Acknowledgment by resident taken out-of-state. § 47-79. Before deputy clerks of courts of other states. § 47-80. Sister state probates without Governor's authentication. § 47-81. Before commissioners of deeds. § 47-81.1. Before commissioner of oaths. § 47-81.2. Before United States Army, etc., officers, and other service members. § 47-82. Foreign probates omitting seals. § 47-83. Before consuls general. § 47-84. Before vice-consuls and vice-consuls general. § 47-85. Before masters in chancery. § 47-85.1. Further as to acknowledgments, etc., before masters in chancery. § 47-86. Validation of probate of deeds by clerks of courts of record of other states, where official seal is omitted. § 47-87. Validation of probates by different officers of deeds by wife and husband. § 47-88. Registration without formal order validated. § 47-90. Validation of acknowledgments taken by notaries public holding other office. § 47-91. Validation of certain probates of deeds before consular agents of the United States. § 47-92. Probates before stockholders and directors of banks. § 47-93. Acknowledgments taken by stockholder, officer, or director of bank. § 47-94. Acknowledgment and registration by officer or stockholder in building and loan or savings and loan association. § 47-95. Acknowledgments taken by notaries interested as trustee or holding other office. § 47-96. Validation of instruments registered without probate. § 47-97. Validation of corporate deed with mistake as to officer's name. § 47-97.1. Validation of corporate deeds containing error in acknowledgment or probate. § 47-98. Registration on defective probates beyond State. § 47-99. Certificates of clerks without seal. § 47-100. Acknowledgments taken by officer who was grantor. § 47-101. Seal of acknowledging officer omitted; deeds made presumptive evidence. § 47-102. Absence of notarial seal. § 47-103. Deeds probated and registered with notary's seal not affixed, validated. § 47-104. Acknowledgments of notary holding another office. § 47-105. Acknowledgment and private examination of married woman taken by officer who was grantor. § 47-106. Certain instruments in which clerk of superior court was a party, validated. § 47-107. Validation of probate and registration of certain instruments where name of grantor omitted from record. § 47-108. Acknowledgments before notaries under age. § 47-108.1. Certain corporate deeds, etc., declared validly admitted to record. § 47-108.2. Acknowledgments and examinations before notaries holding some other office. § 47-108.3. Validation of acts of certain notaries public prior to November 26, 1921. § 47-108.4. Acknowledgments, etc., of instruments of married women made since February 7, 1945. § 47-108.5. Validation of certain deeds executed in other states where seal omitted. § 47-108.6. Validation of certain conveyances of foreign dissolved corporations. § 47-108.7. Validation of acknowledgments, etc., by deputy clerks of superior court. § 47-108.8. Acts of registers of deeds or deputies in recording plats and maps by certain methods validated. § 47-108.9. Validation of probate of instruments pursuant to § 47-12. § 47-108.10. Validation of registration of plats upon probate in accordance with § 47-30. § 47-108.11. Validation of recorded instruments where seals have been omitted. § 47-108.12. Validation of instruments acknowledged before United States commissioners. § 47-108.13. Validation of certain instruments registered prior to January 1, 1934. § 47-108.14. Conveyances by the United States acting by and through the General Services Administration. § 47-108.15. Validation of registration of instruments filed before order of registration. § 47-108.16. Validation of certain deeds executed by nonresident banks. § 47-108.17. Validation of certain deeds where official capacity not designated. § 47-108.18. Registration of certain instruments containing a notarial jurat validated. § 47-108.18A. Registration of certain instruments containing a notarial acknowledgment. § 47-108.18B. Registration of certain instruments containing a notarial jurat. § 47-108.19. Validation of certain maps and plats that cannot be copied. § 47-108.20. Validation of certain recorded instruments that were not acknowledged. § 47-108.21. Sales for 1930 on dates other than first Monday in June validated. § 47-108.22. Tax sales for 1931-32 on day other than law provides and certificates validated. § 47-108.23. Tax sales for 1933-34 and certificates validated. § 47-108.24. Notices of sale for taxes by publication validated. § 47-108.25. Validation of sales and resales held pursuant to § 105-374. § 47-108.26. Validation of reconveyances of tax foreclosed property by county boards of commissioners. § 47-108.27. Title to real property affected by boundary certification; liens. § 47-108.28. Seven-year curative statute. Article 5 - Registration of Official Discharges from the Armed Forces of the United States. § 47-109. Book for record of discharges in office of register of deeds; specifications. § 47-110. Registration of official discharge or certificate of lost discharge. § 47-111. Inquiry by register of deeds; oath of applicant. § 47-112. Forgery or alteration of discharge or certificate; punishment. § 47-113. Certified copy of registration. § 47-113.1: Repealed by Session Laws 2003-248, s. 1, effective January 1, 2004. § 47-113.2. Restricting access to military discharge documents. § 47-114. Payment of expenses incurred. Article 6 - Registration and Execution of Instruments Signed under a Power of Attorney. § 47-115. Execution in name of either principal or attorney-in-fact; indexing in names of both. § 47-115.1. Repealed by Session Laws 1983, c. 626, s. 2, effective October 1, 1983. Article 7 - Private Examination of Married Women Abolished. § 47-116. Transferred to G.S. 47-14.1 by Session Laws 1951, c. 893. Article 8 - Memoranda of Leases and Options. § 47-117. Forms do not preclude use of others; adaptation of forms. § 47-118. Forms of registration of lease. § 47-119. Form of memorandum for option to purchase real estate. § 47-119.1. Form of memorandum for contract to purchase real estate. § 47-120. Memorandum as notice.